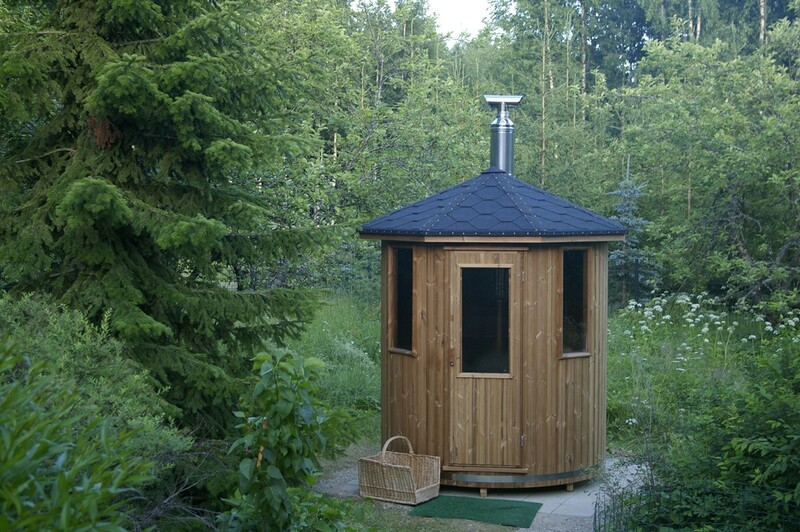 A small and easily placeable sauna made of durable heat treated pine. 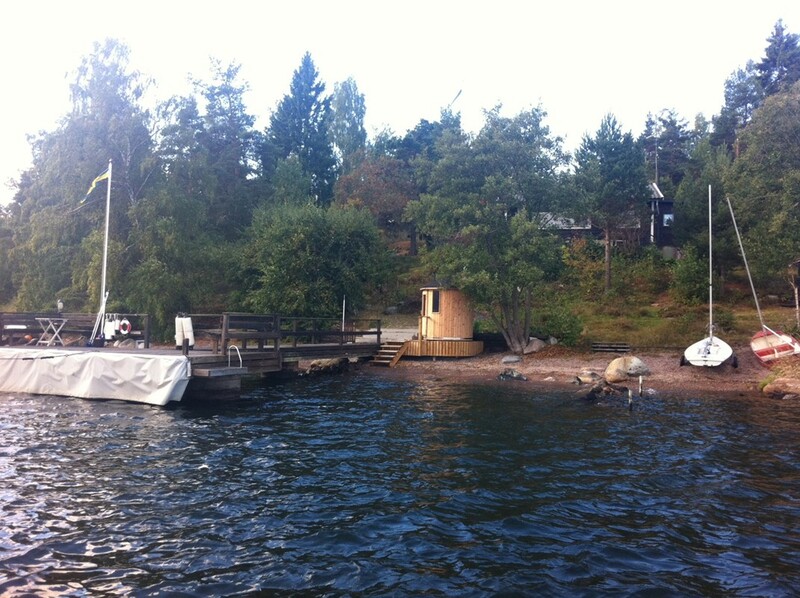 The total height with roof is 250 cm and without roof 206 cm. Interior height and interior diameter are 180 cm. Bench heights are 45 and 78 cm respectively. 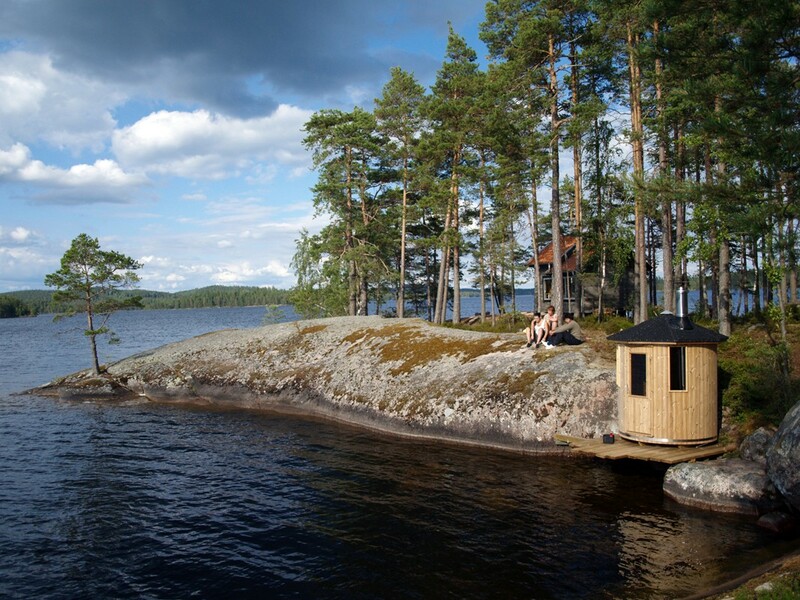 Place for up to five people. 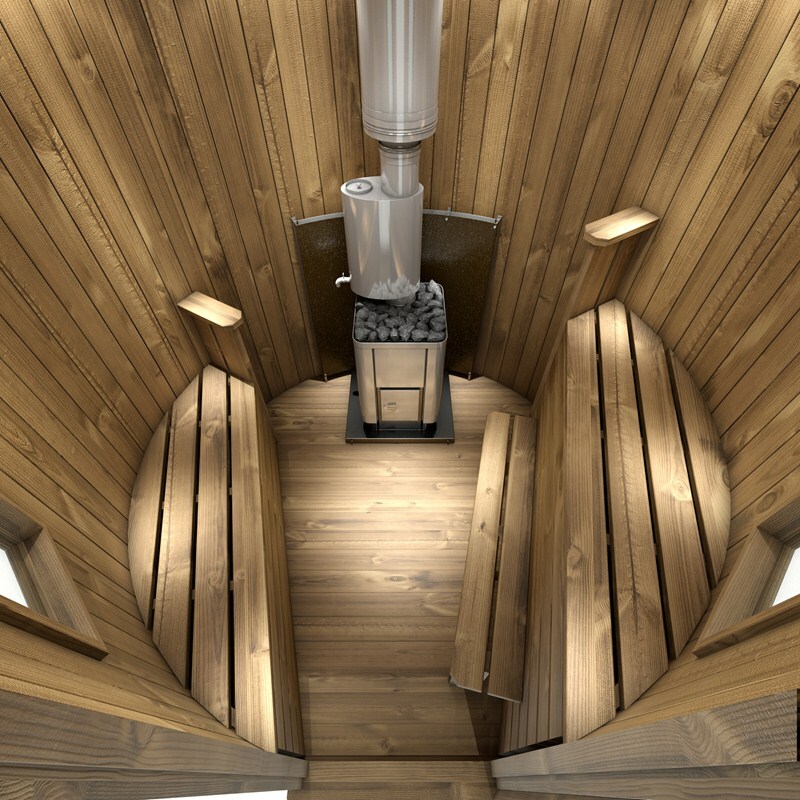 The 4.5 m³ volume is easily heated either with a wood or electric heater. 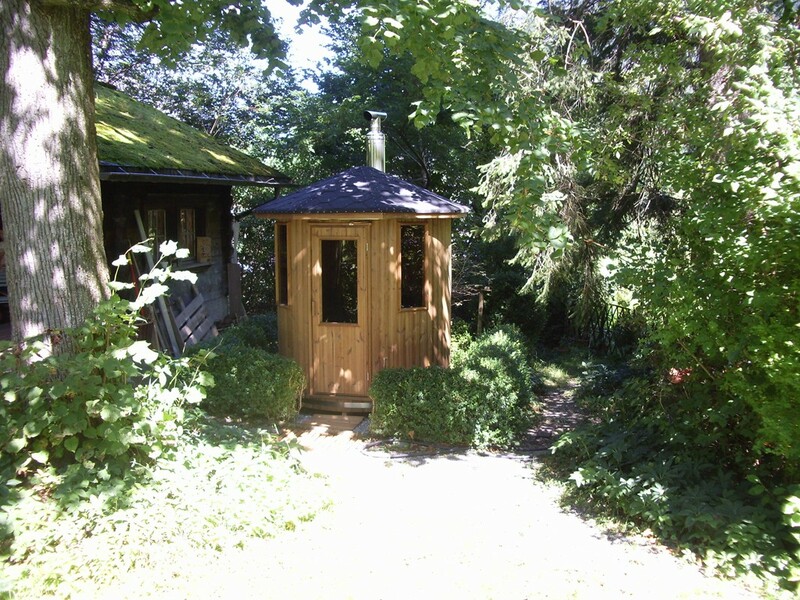 Heating with 16.5 kW wood burning stove inc. insulated chimney . 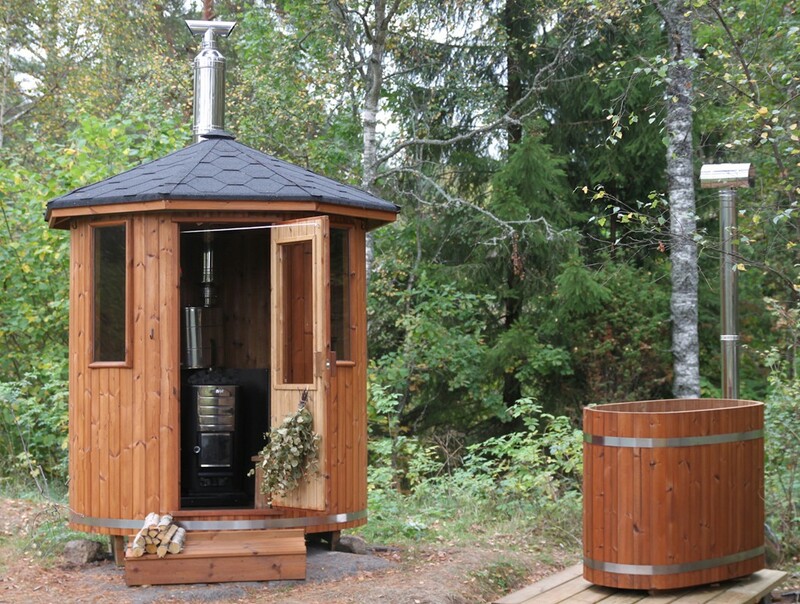 Heating time for a sauna with a wood stove is approx. 20 minutes! NOTE! In this package wall and floor protection plates for the stove are included. 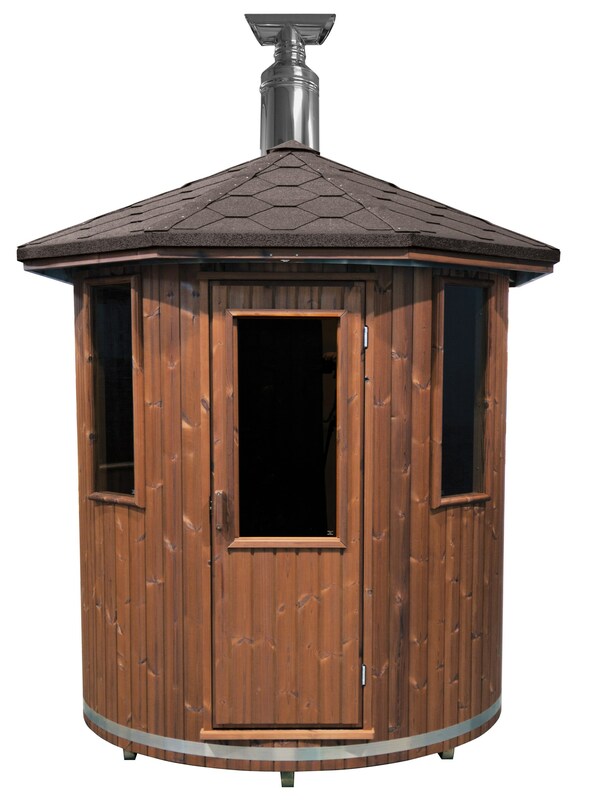 The chimney hole in the inner and outer roof are pre-made for the stove pipe. The standard bench is included. For lighting options you can choose lighting series with 12 Leds and / or 19 led lights that change color. Lie Bench does not fit. 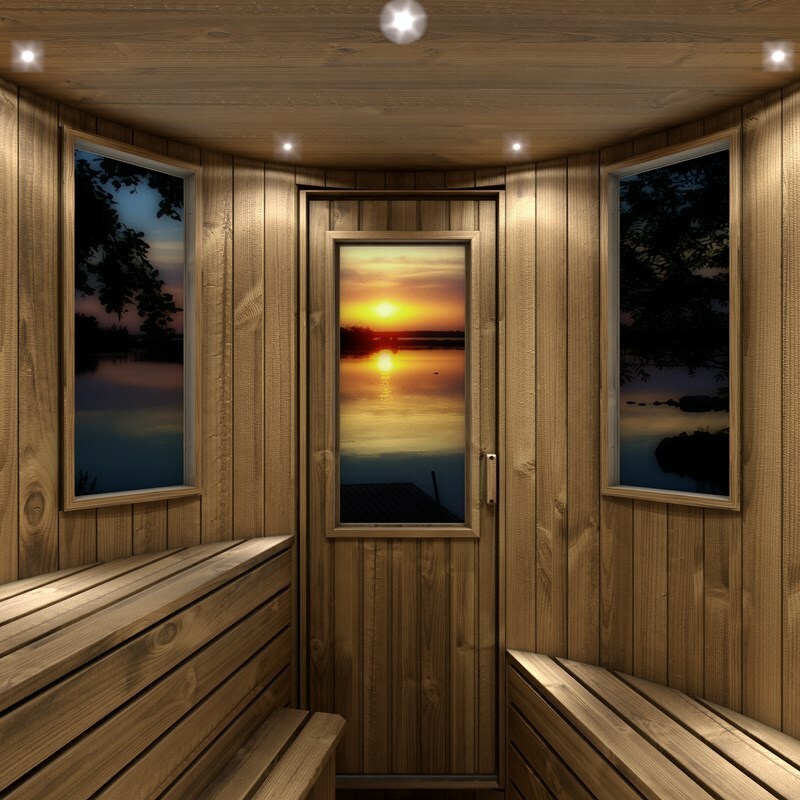 A characteristic of heat-treated pine is that it emits a faint smell of tar when the sauna is heated. 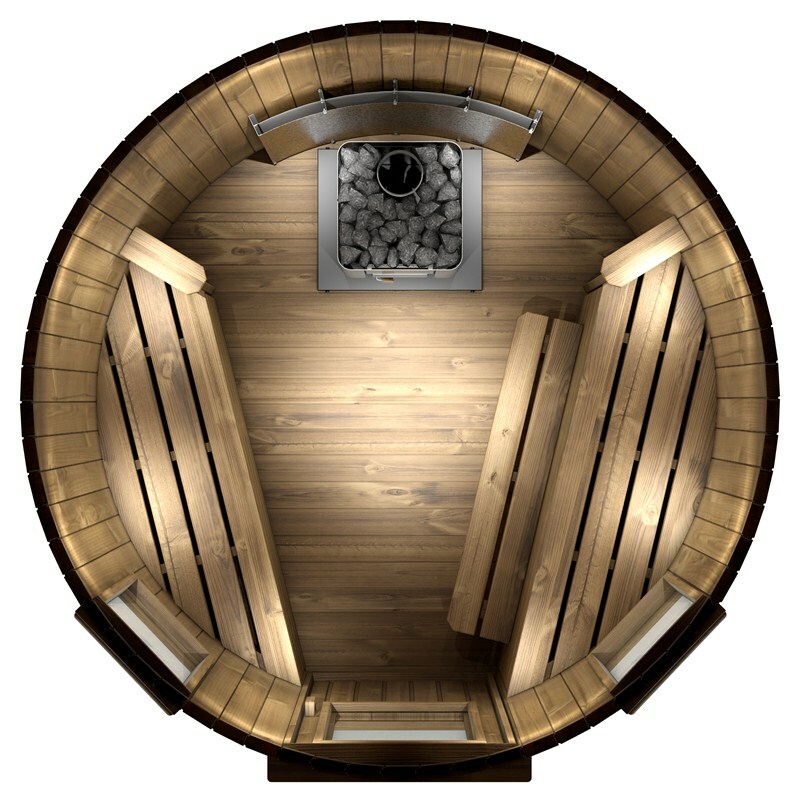 This creates an additional pleasing factor to the sauna bathing experience. 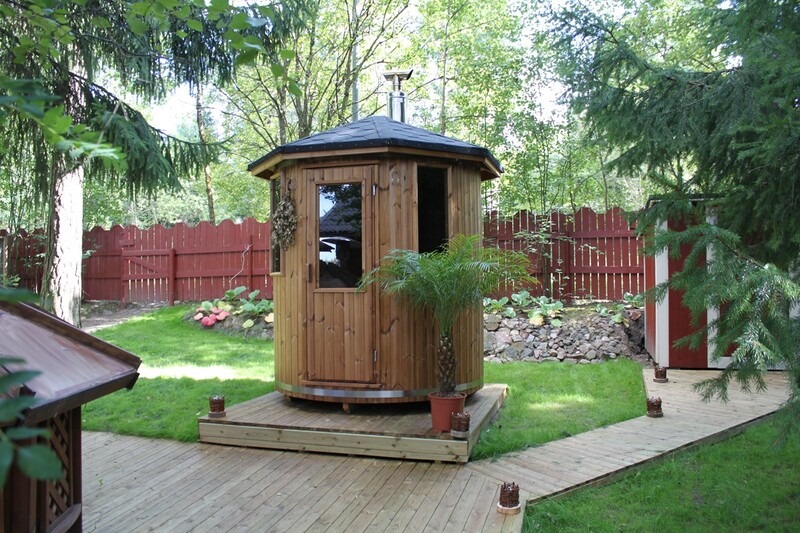 If you have no access to hot water, our optional hot water tank is a good choice as an accessory to the woodburner! The heat from the chimney quickly heats the water in the container which can then be mixed with cold water to a suitable temperature. * The internal height may be altered as desired. This would be a custom order and affects the price, delivery time may vary according to season. Led illumination system with 12 diodes which can be ea..